For movie lovers, it was truly the year of “wonder”. Not only did the new releases include WONDER WOMAN, WONDER WHEEL, WONDERSTRUCK, WONDER, and PROFESSOR MARSTON AND THE WONDER WOMEN, but also we were left wondering how so many powerful industry men could have such little respect for women. This is not an article about the rampant (and sometimes criminal) misconduct reported over the past few months, although the topic has already impacted current and future projects, as well as the structure and approach of movie-making. Instead, this is my annual celebration and recap of the films I loved, those I liked, and those that disappointed. Lack of originality is a constant complaint levied against the movie industry, and the final Box Office numbers for 2017 show the top eleven highest grossing films were some mixture of sequel, remake, and/or superhero movie. With that level of ticket sales, is there any wonder why the studios continue to focus on these big budget tentpoles? I’m a believer that any movie is a good one if it makes you think, or if you learn something, or if you are simply entertained. With the high number of films I see (234 new releases last year), I feel a responsibility to make recommendations to those who aren’t as fortunate – or as addicted. The cinematic art form has much to offer, but sadly, many really excellent film projects slide through undetected by the general public. Because of this, following my BEST OF 2017 list, you will find some recommendations that might have eluded your movie radar this year. Even if you missed the theatrical run, given the multitude of streaming options available these days, you should be able to find something here that fits your tastes … or maybe even expands your interests a bit! Just keep in mind that these are based on my personal opinion, and not on other critics’ lists or box office revenue. 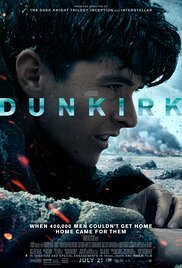 Christopher Nolan’s masterpiece focuses on a critical turning point in WWII. It’s a triptych told from 3 different viewpoints and with minimal dialogue. The will to survive has never before been showcased in this manner, and neither has courage. It’s a history lesson where Nazis are barely shown and the actual battle scenes take a backseat to individual circumstance. The challenging structure was a turn off for some viewers, but if it clicks for you, it’s a revelation in movie-watching. 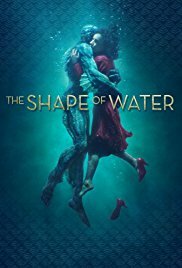 Turning a creature-feature into a romantic work of art could only be accomplished by Guillermo del Toro. 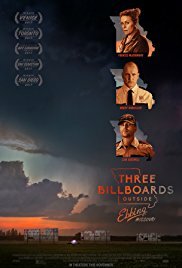 This is a gorgeous film to watch with a story and characters that will likely touch you. Commentary on our society inspires much post-viewing discussion, but it’s also a very intimate look at the strength of misfits and outcasts in a world that tries to ignore them. You’ve never seen a film like this one. It’s a blend of fantasy, sci-fi, romance, and paranoia taking place during the Cold War. Racism and grief clash in this difficult-to-label film from the brilliant Martin McDonagh. Small town life and big emotional pain drive one woman to fight back and stand strong. It’s part dark-comedy and part personal and family drama, as various characters seek their own form of justice. Exceptionally well-written and acted, the film serves as a harsh reminder that, no matter how much we wish otherwise, life simply isn’t fair. PHANTOM THREAD – since I saw this one after the BEST OF 2017 list had been published, I’m creating a special spot for it on the list (after the fact). This is exquisite filmmaking from Paul Thomas Anderson, and features what is supposedly the final screen role for the all-time great Daniel Day-Lewis. It’s an odd film and significantly funnier than you might guess. It also features a wonderful score from Radiohead’s Jonny Greenwood. COCO – Yet another Pixar gem. This one is the most colorful and musical to date, and it introduces us to cultural and religious differences, while showing that finding one’s own identity may require a bit of fortitude. LADY BIRD – Maybe the best movie ever about a teenage girl and her relationship with her mother. The age of conflict between independence and need for security is a constant roller-coaster ride. THE BIG SICK – A remarkable true story told in humorous fashion. It leaves us laughing and crying. It makes us comfortable and uneasy. It’s grounded in reality which makes the situation all the more disquieting. BIG SONIA (doc) – Look no further for an inspirational true story of a Holocaust survivor. Sonia is someone we can look up to, admire, and bring your alterations. Never forgetting her tragedy, she fills her days with a vibrant life. WONDERSTRUCK – A most unique and beautifully heartwarming film that tracks two parallel stories over different time frames and many of the same New York locations. THE FLORIDA PROJECT – Exciting filmmaker Sean Baker’s follow up to Tangerine is an incisive slice-of-life through a child’s eyes … and what a child she is! THE POST – The true story of free press vs. government as it pertains to the Pentagon Papers and five US Presidencies that seem to conspire to mislead the public. HOSTILES – For you slow burn western fans, this one questions whether redemption is even possible after a life of violence and little humanity. LOVING VINCENT – An absolute work of art is presented through many of the works of Vincent Van Gogh. It’s mesmerizing to see the familiar pieces come alive on screen. CHIPS – somehow this re-cycled movie version fails to reach the level of a mediocre 70’s-80’s TV show. THE MUMMY – the film that was supposed to restart the monster mania of yesteryear, might have just buried it for good. It is my hope that you found something on this list that intrigues you to the point that you’ll give it a shot. Of course, you can always find my full reviews at https://moviereviewsfromthedark.com/ Feel free to pass this along to any fellow movie lover, and let me know your favorite movies of 2017 … and what you are excited to see in 2018.